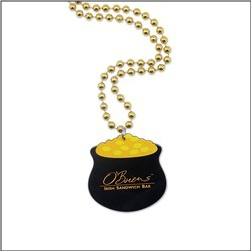 Order fun Custom Pot of Gold Necklaces imprinted with your company, school, or business logo. These great beads are a fun way to celebrate St. Patricks Day, or just about any occasion where you might give your customers and clients their own little Pot O’ Gold. 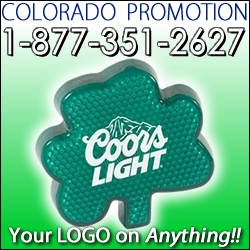 Great for Saint Patrick Day Parades, schools, parties, and more. Order your Pot O’ Gold bead Necklaces today!